A comprehensive gun guide for information on rifles handguns, shotguns, custome guns & tactical firearms, gun reviews, color photos & more. 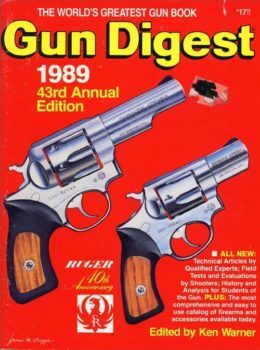 For nearly 7 decades, Gun Digest has been regarded by the shooting industry, hunters, competitive shooters, collectors, and hobbyists everywhere as the shooter’s No. 1 resource. 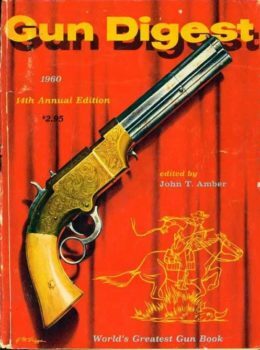 In our 2015 69th Edition, Jerry Lee again helps us carry on the tradition of being the gun book every firearms lover turns to. With in-depth articles about today’s most fascinating guns, both old and new, testfire stories on the industry’s hot-off-the-line guns, insights on fine collectibles and custom creations, and up to date reports on new optics, guns, ammo, and reloading equipment, this book has something for everyone. Whether you’re interested in the latest tactical firearms or the antiques of yesterday, new ammunition or the latest in reloading innovations, you simply won’t find a more comprehensive collection of firearms information. Gun Digest 2015 has it all! Jerry Lee has been editor of several leading magazines in the firearms industry, and is the current editor of both Standard Catalog of Firearms and The Official Gun Digest book of Guns and Prices in addition to editing the annual Gun Digest for the past several years.